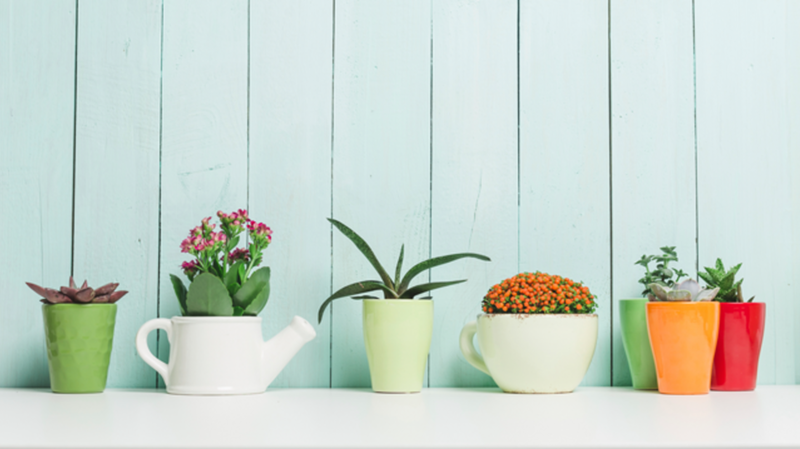 Plants play a key role in our mental and physical health—from helping us focus and beautifying indoor spaces, to maybe helping us live longer. And you can breathe a little easier knowing they actually help us breathe easier. In the 1980s, NASA, along with the Associated Landscape Contractors of America (ALCA), sought to figure out exactly which plants were most effective at keeping the air clean—a relevant study for an agency whose astronauts were spending more and more time aboard space stations. The results of that Clean Air study are detailed in the infographic below from Love the Garden. Earlier this year, a team of researchers presented new research on the purifying power of plants at the annual meeting of the American Chemical Society. They identified the dracaena plant and the bromeliad plant as highly effective at removing pollutants and toxins, which means you have a lot of options when it comes to multitasking greenery. To get the best results, the Clean Air Study recommends one plant per 100 square feet. And while they may help you live better, there’s no guarantee that you’ll be able to keep them alive, so be sure to work on that green thumb, too.